Hey guys! How is everyone? I am having problem getting social here in the US. I arrived here last Nov 11 and applied for ssn Nov 15. And then I got married Dec 22, 2018. 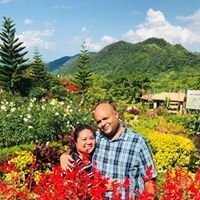 And after more than a month of patiently waiting, today, January 4th, my husband and I decided to go to SSA office to ask for update since we havent received anything in the mail at all. And I read blogs about how ssa staff doesnt know what they are doing sometimes and I think the one we went to is one of them. 😔 They kept telling me they are having issues on the system and it kept saying “Alien Mismatch”. they said they've been trying to do it over and over since I applied and contact DHS but they havent gotten anything really. And then they also said that maybe the reason why is because I am on k1 visa and not allowed to work in the US that’s why SSA cannot issue me a number. (i didnt correct them here since I know I’m not gonna win.) but they said the bottom line is the “Alien Mismatch” they are getting. I am so confused right now cuz my i-94 is only valid until Feb 2. And we are just starting to file for aos. anyone has experience about this? any answer will be appreciated. Thank you! 6 week wait for SSN?! Hi! My fiancé arrived on June 7th and we applied for his SSN on June 12th. I asked the guy at the SSA to verify if he was in the SAVE database before we proceeded (I know I should have waited the 2 weeks from POE) but he went ahead and sent in our application. He told us that it should take 2-4 weeks (4 weeks maximum) and to call after 2 weeks to check. So we called today and were told before I even gave her our reference number that it will take 6 weeks and the other guy misinformed us.. I'm really hoping that it doesn't take 6 weeks because that's cutting it close for us to get everything done that we need to (marriage, filing for AOS) my question is, in my state you can get married without a SSN. Should we go ahead and get married while the SSN is still processing and then apply for AOS? or do we have to wait now until the SSN arrives and then rush to get everything done. I'm freaking out. Will getting married and applying for AOS while the SSN is pending mess us up at all? Any help is appreciated. I browsed for similar problems, but did not find the right answers readily. My fiancee got here, and we got married etc. we got out licence with her last name, etc. We went to SSA and got her a number and her new card arrived in a week, with her new name. HOWEVER, reading some other posts, it looks like we should have waited in a name change. We went to Arizona DMV to get a simple state issued ID, and they said they can not without first having her passport changed to reflect her new surname. We then went to one of the banks I use in order to have her added to the accounts, and again, we were told she could not be added until he has a passport changed to reflect the name that is on her her new SS card. 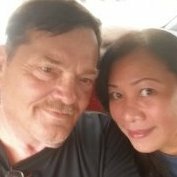 We are only 90 minutes out of Las Vegas, and wondered, there is a USCIS office there, can they make some change or notation to reflect her new name or do we have to mail off to the Philippines for an all new passport for her? Also, we are working on filing out all the I-485 form for AOS., I wondered how she should sign them, or fill them out with the name on her Passport, or the name on the SS card? Any help, advice or direction would be appreciated! Five months of waiting and calls... no SSN. Legally working alien on visa in California. After half a year of phone calls with the SSA I've reached a total impasse getting an SSN. I'm a legally working alien in California on a TN NAFTA visa. The SSA won't issue me an SSN because their system was unable to determine what type of resident my visa was for (temporary vs permanent, which makes zero sense to me, as the TN NAFTA visa is a temporary three-year maximum). The visa is valid and issued from a US Consulate abroad (issued correctly, according to the Consulate.) I'm at a total loss for what to do. Is there still a way for me to file my US taxes without an SSN? What am I supposed to do? Has anyone else been through something similar and found a solution? I've tried going to the local SSA office, but they said they couldn't edit or delete the existing application as it is being handled by Maryland HQ. Hello, My wife is trying to change her name. We got married 2 years ago in Connecticut. She got her green card before we were married, and last year she filled out an I-90 form to change her name. They sent her a message saying she needs to prove her name is legally changed. She can't change her name on most things because she needs to change it with Social Security first. When we go to Social Security they say she needs to change her Green Card first.